According to French media outlet Foot Mercato, Tottenham Hotspur are interested in signing Getafe centre-back Djene Dakoman, but they should forget about him and buy a player their arch-rivals Arsenal wanted in June. 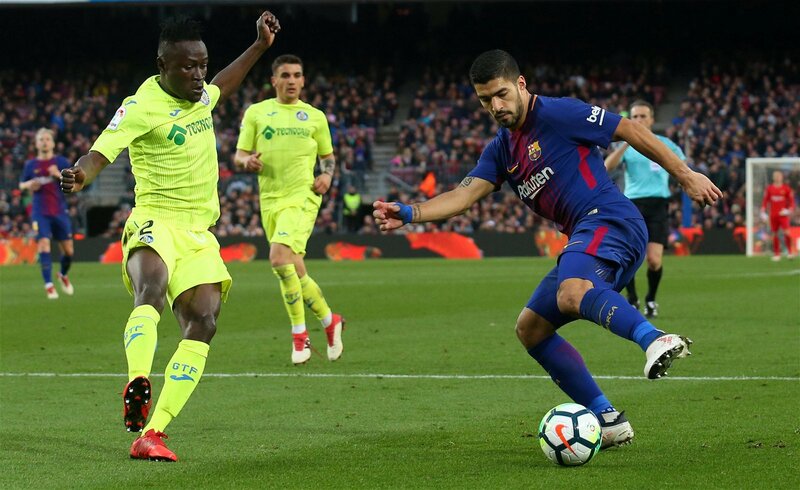 Well, Foot Mercato report that the 26-year-old is in demand after a brilliant debut campaign in La Liga with Getafe, with Sevilla and Atletico Madrid among the Spanish clubs interested, while Premier League sides Spurs, Leicester City, Arsenal and West Ham United are also keen. Foot Mercato say that that the Togo international is valued at €35m (£31) having impressed and made the La Liga team of the season, impressing with his physical qualities and his reading of the game at the heart of the defence despite only being 5ft 10in tall. Meanwhile, Tottenham’s north London neighbours were heavily linked with a move for £35m-rated Freiburg defender Caglar Soyuncu back in June, although no move materialised as they got Sokratis from Borussia Dortmund instead. Why should they sign Soyuncu instead of Djene? Well, despite what was unquestionably a fine campaign for the 26-year-old, he has still only had one season at the top level in Spain and his lack of height would perhaps be a concern if he was coming to the Premier League to play at the heart of the backline. On the other hand, the Freiburg man stands at 6ft 2in tall and is known for his defensive qualities and his ability on the ball, which would mean that he would be a better fit under Mauricio Pochettino given his ability to play out from the back. Given Djene is also four years his senior, it certainly makes sense for Tottenham, whose fans have urged their club to snap up an Everton ace, to pay a few million pounds more to get a player with more potential for the future and time on his side.